Many moms start their nursery design with a palette of favorite baby colors and work from there. However, others fly into a tizz at the mere thought of choosing colors for the baby room. If this is you, don't worry, you are not alone. Choosing your baby room colors is an intensely personal process. What one mom loves, another will hate. 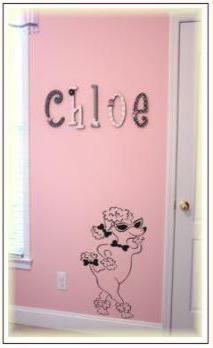 Remember that each nursery decorating style is characterized by different color schemes. Make sure that the baby nursery colors you choose work within your chosen style. For instance, black and white or bright, bold colors would work well in a modern nursery style. Mainly white would work well in a traditional or vintage nursery room. An eco friendly room will work well in earthy shades. To achieve a balanced color scheme stick to basic color theory principals for baby room colors. This page will give you a quick crash course. I know it sounds boring, but I'll be quick so bear with me! Different colors affect our babies' moods and emotions in different ways. Some are calming while others are stimulating. Find out how the colors you choose for your baby nursery are likely to affect your little one. To find the best baby nursery colors for you, all you need is a starting point to get you going in the right direction. On this page I will give you some tips to help you with finding a starting point for your baby room paint colors. Once you've chosen your nursery colors the next step is to work out how you will incorporate your colors in your nursery design. Too much of one color, or not enough of the other; too many different colors, or too few and your design will appear out of balance, boring or cluttered. You'll find guidelines for getting the balance of nursery colors right here. A color scheme book is a great help if you get stuck. Just browse the pages until you find a color scheme you like. I use a book called 1001 Ideas For Color and Paint by Emma Callery It covers every color scheme under the sun. There are hundreds of pictures to give you ideas and even comparisons of the same room in up to eight different color schemes. You really can't go wrong with this book on your shelf! 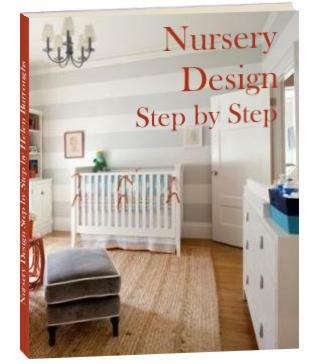 There are lots more color scheme books in the nursery color scheme book store. I hope the information on this page has helped you to find a gorgeous color scheme for your little one's nursery. Congratulations - you're ready to start painting!